Reserve compensation is $18.34 per hour and time-and-a-half for court appearances and selected special details. The primary job of the reserve unit is to support the patrol division as a second officer in the car. 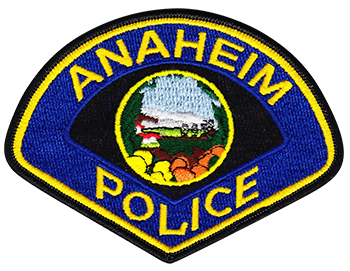 The Anaheim reserve field training program is the same as the regular officer program. Reserve Officers spend approximately 400 hours in field training. Each Reserve Officer is trained as a regular Officer. After field training is completed, reserves can participate in the gang, crime task force, street narcotics, rangemaster, background investigations, vice, detective, S.W.A.T., warrant service, forensics, mounted unit, traffic, motors, Edison International Field Angel Games and events, Anaheim Pond games/concerts/events and emergency call-outs. In addition to paid Level I positions, Level I, II, and III have all their uniforms and gear provided by the City of Anaheim. There is a uniform cleaning allowance and mileage for training is also reimbursed. We have a bureau of 30 reserves and are allocated to have 50. Many of our reserves go on to become regular officers, so we are continually seeking qualified applicants.